The descent can start from the summit if you're eager to huck your meat off a 10 ft ledge into the couloir. I imagine most people choose to start at the prominent notch just below the summit ridge. Initially the slope is fairly mellow, but rolls over mid way down the couloir for an exciting short pitch of 40ish degree skiing. The snow in the couloir may be kind of chunky from wet slide debris from the SE facing wall above and climbers right of the chute. Not to worry though, the upper portion of the couloir itself is nicely sheltered from early morning sunhit. The Tetons are some of the most sought after peaks in america, as they stand tall and proud in the center of the country. The skiing is fantastic, and the descents are steep and technical. The snow is often very good, and you will be in awe of the majestic peaks. 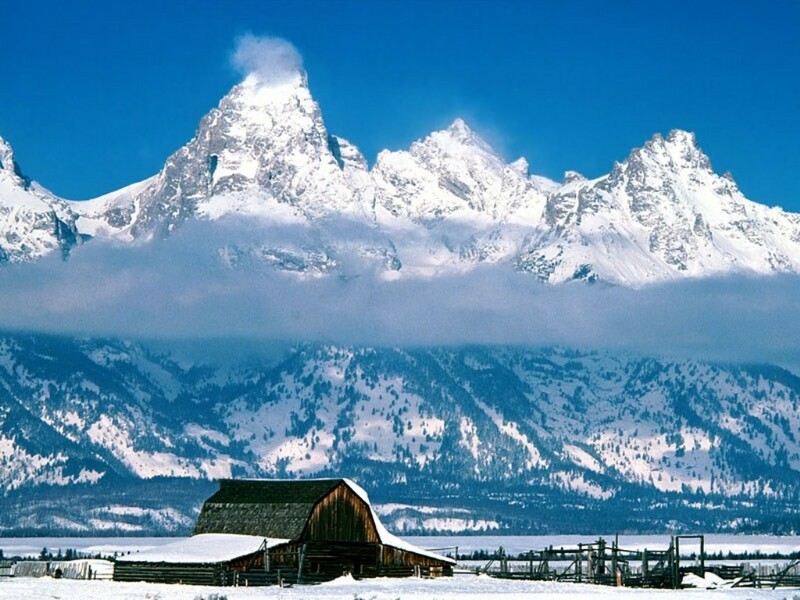 Located around Jackson Hole, these peaks are easily accessible from the town itself.